Congress just passed a new authorization bill for NASA that reemphasizes the GOP-led legislative branch’s desire to see the agency concentrate its resources on human exploration of Mars and makes the red planet a number one priority. The bill also leaves intact NASA’s Earth Science research, which is crucial to studying climate change. If President Donald Trump signs the bill, NASA’s budget for the next year will increase to $19.5 billion. The bill explicitly directs NASA to work on developing the technology and equipment necessary for a human flight to Mars by 2033. 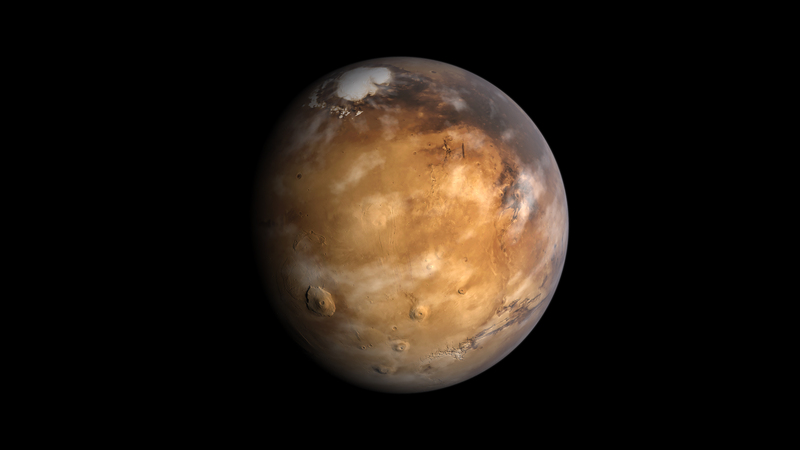 The committee called Mars “the appropriate long-term goal for the human space flight program,” and it cited among other reasons, economic benefits, national prestige, scientific discovery, and a sense of shared destiny as reasons for sending people to Mars. Before NASA can accomplish such an audacious feat, however, the agency will have to fulfill some more modest objectives to prepare for this mission. These include flying to and establishing a presence in cis-lunar space (the region between Earth and the moon), as well as planning how humans will arrive on Mars and what they will do there. NASA will also consider possible interim destinations like the Martian moons. Whatever the destination may be, NASA must prepare technologies like the Space Launch System, the deep space vehicle Orion, and a design for a more permanent deep space habitat. “It is the sense of Congress that use of the Space Launch System and Orion, with contributions from partnerships with the private sector, academia, and the international community, is the most practical approach to reaching the Moon (sic), Mars, and beyond,” the bill says. The Space Launch System and Orion will undergo their first joint test as part of Exploration Mission 1 (EM-1), the 2018 uncrewed mission which will launch Orion to lunar orbit for a few days and bring it back. The follow up crewed mission, EM-2, will take astronauts to cis-lunar space 2021. NASA will then plan subsequent missions leading up to Mars, beginning with EM-3. The new bill is noticeably silent on the prospect of any new missions to the moon, which is notable given new Trump administration memos which discuss the notion of sending humans back to the moon by 2020. This was thought to have put pressure on NASA to consider making EM-1 a crewed mission, but, at least from Congress’s perspective, there is no support for making that change right now. The bill also discussed the Mars 2020 Rover mission that will search for signs of extraterrestrial life and lay the groundwork for a sample return to Earth, a mission to explore Jupiter’s moon Europa, and instructing NASA to focus less on the still-bizarre Asteroid Redirect Robotic Mission. As for NASA’s earth science research efforts, this bill makes no mention of them. Recently, the White House proposed defunding the National Oceanic and Atmospheric Association, and Trump had been poised to defund NASA’s Earth Science division. Former astronaut and climate change skeptic Harrison Schmitt recently testified at a congressional committee hearing on NASA’s future (though his answers were not related to Earth Science research). At least for now, NASA’s Earth Science division is left intact, but it is not clear whether Trump will sign the bill or not.